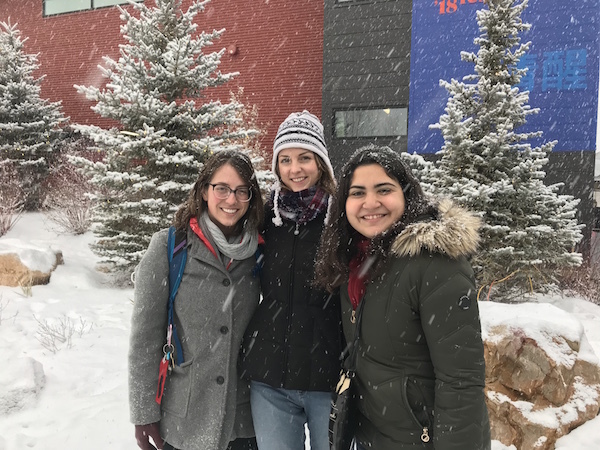 Going to Sundance Film Festival as a USC Student is one of the best positions you can be in as a spectator at the festival, provided you take advantage of the opportunities handed to you. The Sundance Ignite program allows students and young people ages 18-25 to see up to 15 movies at the festival, and gives special access to panel discussions, networking events, speed dating, parties, screenings, and more. 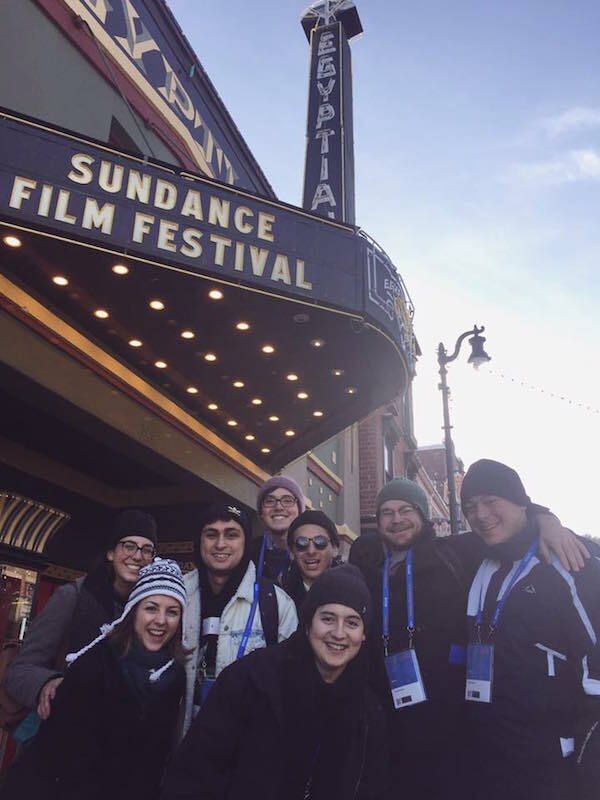 I’m a senior in film production here, and I traveled to Sundance with 14 other students in my cohort, across the divisions in Production, Cinema & Media Studies, Screenwriting, and Animation. Traveling with such a big group of students was ideal, because we could hear from our peers who we know and trust about which movies were worth standing on the waitlist for, which were worth getting up early to go to the box office, and which ones we should just skip. Seeing the films with my peers and being able to spend every moment between screenings discussing what we’d just seen was a fantastic way to hone my critical eye, and sort through filmic techniques I might apply to my own work. Though we think of Sundance movies as an endless parade of quirky indie comedies and tear-inducing family dramas, the selection is actually quite varied if you spend the time looking through each film and curating your schedule to give you the most personal benefit. Beyond seeing and discussing the movies with my SCA peers, we were able to share in a number of networking experiences. The Ignite program allows you to network with the other Ignite attendees at both formal and informal events- through these, I connected with several potential collaborators: a DP, producer, and actors that live in LA. I was also able to support the two USC students I know that had short films featured in the Ignite screening. More beneficial even that networking with other up-and-coming filmmakers were the industry speed-dating events. In these events, you sit at a table with 5-8 other Ignite passholders and are visited by a rotating group of 1-3 filmmakers who had work featured at Sundance. Through this event, I met the director of a short film who’s shooting a feature I’m hoping to work on, the director of one of my favorite experimental films at the festival, I met a producer at a small production company who’s looking for assistants, and I met an acquisition executive at a bigger production company I’ve been hoping to connect with. My peers had similar degrees of success- one met a director who’s working on exactly the type of films he wants to create, another met an executive looking for a script that fit his bill, one reconnected with supervisors from a previous job. While my favorite part of Sundance is still seeing the incredible movies that indie filmmakers are putting out, these networking events provide a fantastic opportunity that any student would be remiss not to take advantage of.